What we love: cotton madras pocket square, Levi's 501 dark denim. 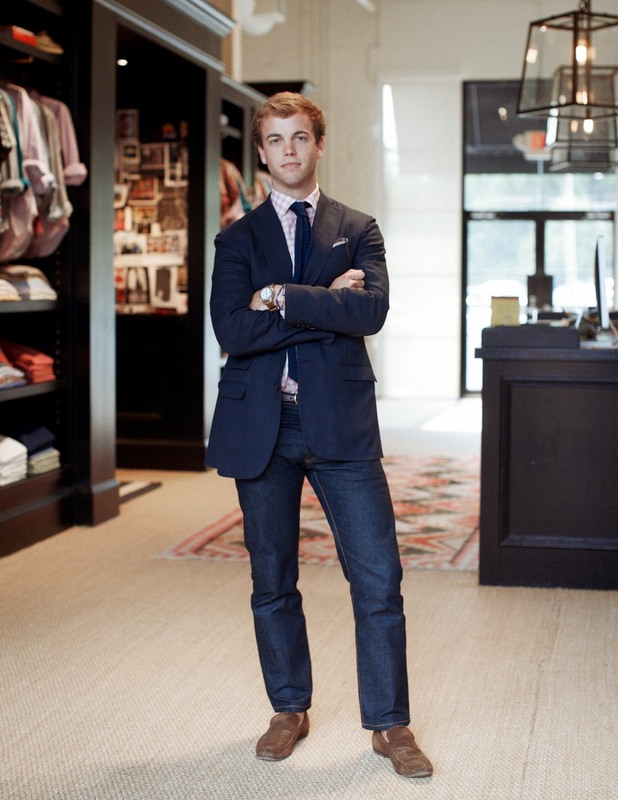 Ask for Gray the next time you visit Sid Mashburn's shop. Not only will he offer you a beer but he will play a record of your choice (we choose Broken Bells).